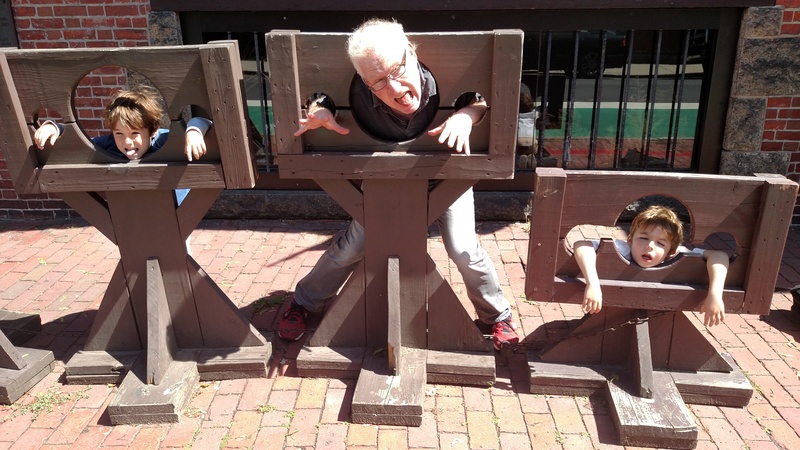 Salem, Mass – It’s a strange thing, how the city of Salem has turned something so horrific into something so fun. In total, 20 people were executed for practicing witchcraft, while many more were accused and saved themselves by confessing and implicating others. That’s a pretty terrifying and tragic episode that took place here in 1692. On the tricentennial of the tragedy, a poignant memorial was erected in downtown Salem, remembering the 20 victims. 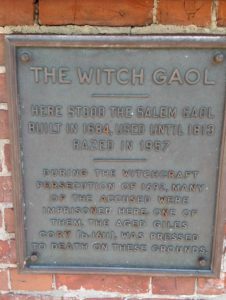 And, there is one actual historic site related to the witch hysteria. Known as the Witch House, it was the home of Jonathan Corwin, a local magistrate who investigated witchcraft claims. 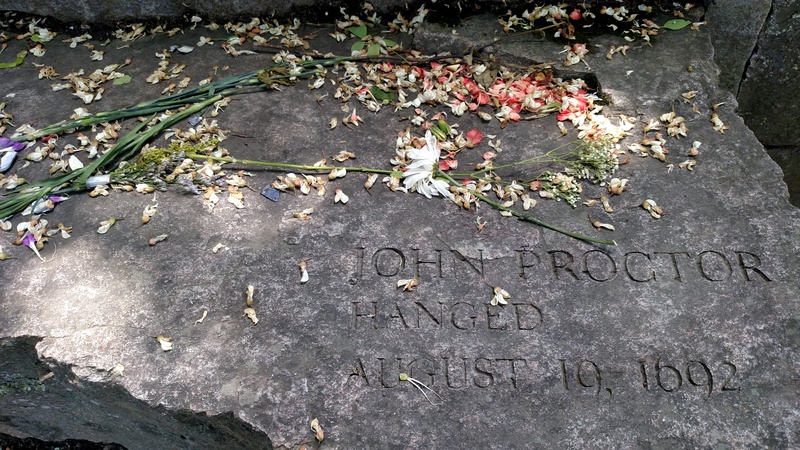 These are the appropriate and acceptable ways to honor and learn from a city’s tragic history. And yet, Salem does so much more. There are at least three additional (and extremely hokey) witch museums around town, a slew of paranormal and spooky tours, a pirate museum and something called Count Orlok’s Nightmare Gallery. Not to mention the controversial but oft-photographed TV Land statue of Samantha Stephens from Bewitched. And of course, there is an entire month worth of festivities in October: Haunted Happenings features parades, costume parties, pumpkin carvings, trick-or-treating and non-stop partying. You may wonder what all this has to do with the 1692 Witch Hysteria and the answer is nothing. But it sure is fun. Anyway, I didn’t pay too much attention to the hokey side of Salem, until I had kids, who happen to be crazy about monsters, magic and all sorts of scary stuff. They love Salem. They have been to every museum in town–except the Nightmare Gallery, which perhaps their biggest regret in life. This time around, we decided to give them some insight into what actually happened in Salem. It started with a little history lesson in the car. 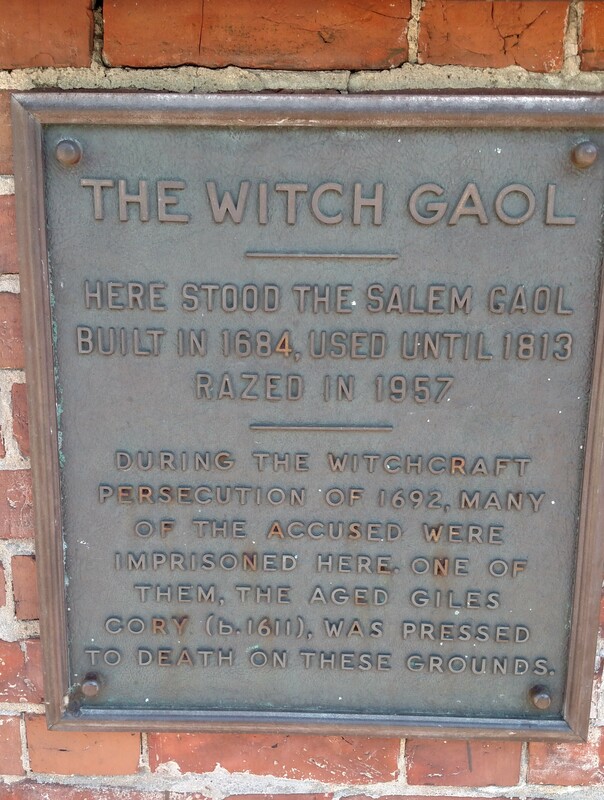 Then we took them to the Witch Dungeon Museum, which apparently sits on the site of the `witch gaol’. The museum tour starts with a live re-enactment of a witch trial, using actual historic transcripts. Cool and interesting idea to use the transcripts for authenticity, but it made it very difficult for the kids to understand. Still, it was something to see, and with some commentary from their history professor (Daddio), I think they got the point. Then we descended into the basement, which holds a replica of the dungeon where the accused might have been held. They even have a beam from the original `gaol’. Aside from that one actual artifact, the exhibits are gruesome but fake-looking mannequins hanging out in prison cells and looking mildly spooky. One scene depicts the death of Giles Corey, who was pressed to death when he would not plead guilty. The weight of the stones was not meant to kill him–just to make him confess–but it didn’t work. Corey’s only words were–famously–“More weight.” And finally, the last scene depicts Gallows Hill, with the convicted witches swinging from trees. Ugh. None of these scenes are realistic, but they are still gruesome and probably not appropriate for most kids. My guys are not easily scared, especially by things that are not real. Of course, this history is real, but I’m not sure that really registered. The theatrics and the mannequins and the bizarre story probably made it seem like another Scooby-Doo episode. But they did get a little taste of the history–and it was presented in a way that held their attention. And I think they understood that the scary stuff that was going on in 1692 was not witchcraft or black magic, but rather greed and paranoia; it was carried out not by witches or monsters but regular people. We still had to promise that we would come back to Count Orlok’s Nightmare Gallery.